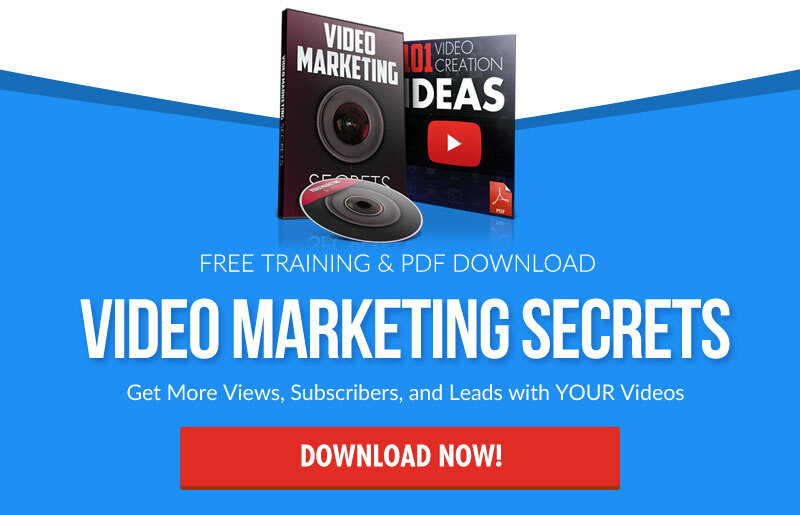 It's no secret that video is critical to your overall success online and increasing your business in today's online marketing world. One of my favorite ways to use video is for lead generation as there is no better qualified lead than a lead that sees a video first, then chooses to opt in. 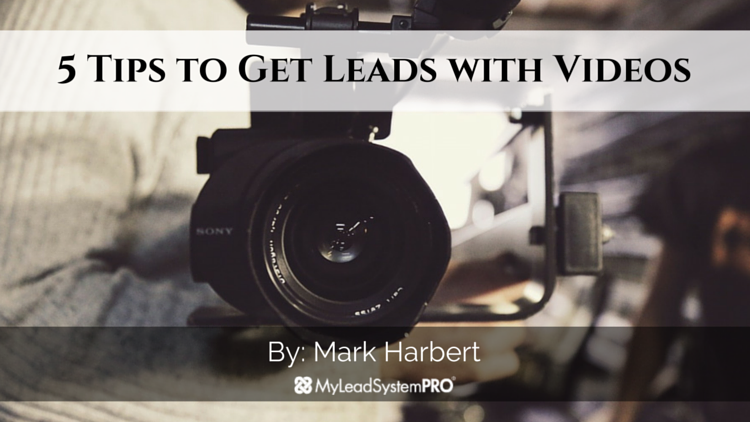 Here are five of my best tips for creating videos that create hoards of leads on demand. Many times people ask me what they should make their videos about, and my answer is pretty much always the same. What are the pain points of your market? What are the struggles they are facing and want an answer too? This is first and foremost what drives people online. People go to the internet a majority of the time to seek information about a problem or to find the solution. Figuring out those problems and providing the solution through your content is the best way to attract new leads to you. Get this right and the rest falls into place very easily. There are many people that are afraid to get on the camera. As a matter of fact they are terrified of it. When you can get on a camera and allow your prospects to see your face, hear your voice, and see your personality, the quality of your leads goes through the roof. What you are doing essentially is creating a list of pre-sold people that are sold on YOU! This is what starts the process of creating a highly engaged email list. Screen share videos are also effective, but just not as good as if you were in the video itself. So you just have to weigh the options. This also ties into key #1 a bit, but really your goal is to inspire and educate by showing your visitor what is possible and inspiring them to take action. Educate them on something they more than likely didn’t know before watching your video. If you put this philosophy into each and every video you create, the likelihood of getting leads goes WAY UP. So make sure you educate them in the process while leading them down the path you want them to go. In the home business niche, you want to be careful not to get to fancy with your videos. Making them over the top crazy with fancy editing is something that will turn people off and make them feel like they couldn’t do what you do. However, you can add some little branding opportunities throughout your videos. Like putting a lower-third on your video with your name, or adding a segway to another point with your logo. These are great ways to embed your brand or name in their minds. I have had many people over the years ask me for video scripts. Now while I am not against scripts, what I am against is people reading them word for word. The goal of a video is come across as authentic as possible. Truth be told, if you are reading a script off of a screen people will know. Scripts are good to get a general idea of what to say in your videos, but are not meant to be read word for word. The only case I would use a script is in a sales video. Sales videos are much different. But whenever you are doing talking head video, ditch the scripts and come straight from the heart. 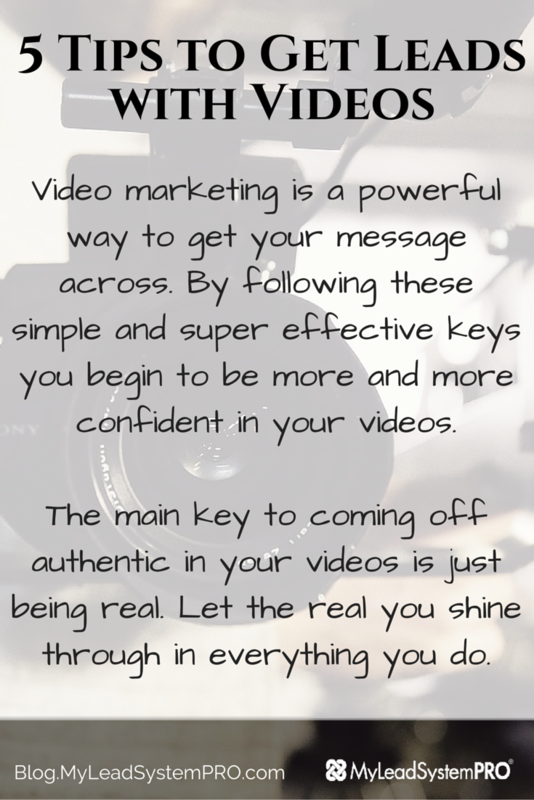 Video marketing is a powerful way to get your message across. By following these simple and super effective keys you begin to be more and more confident in your videos. The main key to coming off authentic in your videos is just being real. Let the real you shine through in everything you do. than a lead that sees a video first, then chooses to opt in. Great value Mark. So simple, so easy, so why aren’t we doing it? Lets move up the gears. Fantastic blog post… some great tips for any entrepreneur who wants to get more leads with their videos… thank you Mark! Thanks Mark, that makes a lot of sense, especially about giving that little bit more than expected.